Wedding registries have come a long way since the days of department store gun-scanning and paper records. Finding the right words, especially when asking for gifts, is hard. Traditionally, asking for wedding gifts at all is considered uncouth, and asking for cash gifts… even the idea was taboo. Times have changed, however, and honeymoon funds are not only on the upswing, but they’re becoming a registry staple. 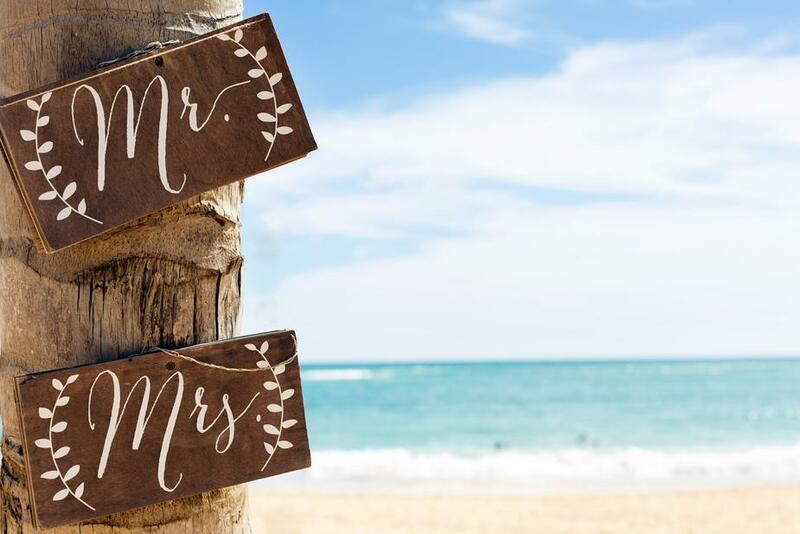 Whether you’re only planning on having a honeymoon fund, or are sprinkling cash fund options among traditional gift items, there’s a right way to do it. In fact, there are several creative and tasteful ways to craft the wording on your honeymoon registry. Honesty will forever and ever be the best policy. Modern couples aren’t waiting until marriage to move out of their parent’s homes and move in with each other. Most couples live on their own, or move in together before marriage. By the time the wedding rolls around, they have all the household items they need and would prefer to receive gifts they could actually use. If a poem suits you and your partner’s personalities and will be well-received by your guests, there’s no reason why you can’t inject a little fun and creativity into your registry wording. Consider limericks (AABBA format) or using iambic pentameter (think Shakespeare’s sonnets)—both of these styles are fun, rhythmic, and easy to read. Any gift will make our hearts sing. Will know our home is rather swell. No matter which style you decide on to word your honeymoon registry, the most important thing is to make sure it’s true to your voice. If you’re the family jokester, feel free to make it funny. If you’re a straight-shooter, then don’t hesitate to write the way you speak to your friends and family. Because people are still warming up to the idea of cash registries, make sure you express your gratitude in your wording. While it’s completely acceptable to have cash gifts in your registry, it’s still poor etiquette to expect any gifts. Find a way to express that you don’t expect gifts, but are grateful for anything your guest choose to give. Instead of having one, giant honeymoon fund on your registry, we’ve discovered that guests are more likely to contribute when they know exactly where their money is going. Create smaller cash gifts with equally thoughtful descriptions. Divvy up your trip into smaller experiences (snorkeling, romantic dinner for two, booking Flytographer, rental car, etc.) and guests will be thrilled to contribute to a specific honeymoon event. Take a peek at our sample wedding registry for the honeymooning couple for smaller gift and wording inspiration. Pictures + Images Are Great! If your online wedding registry allows you to upload custom images for your cash gifts like Blueprint does, do it! They can be your own pictures, stock photos, or any image with a personal touch that represents you (just make sure you have permission to use them!). If your online registry gives you the ability to customize cash gift images, definitely take advantage of it. There will always be traditionalists who are staunchly against cash gifts. At the end of the day, however, it’s your wedding and future that you’re planning for. Ask for what you need in a respectful way, and your family and friends will always support you. Do you have any fun ideas for registry wording? Share them with us on Twitter, Facebook, and Instagram!